Serving Western Canada since 1988. R&J Holdings has over 25 years of experience Refrigerated transporting Sand & Gravel and Cargo Containers in Vancouver and Western Canada. R&J Holdings is a family owned and operated trucking company founded in 1988. 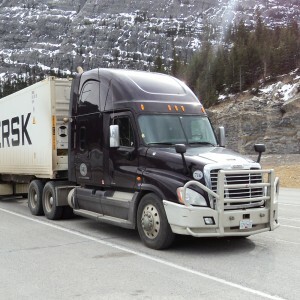 We are based in Abbotsford, BC and provide trucking services throughout Western Canada, including Alberta, Manitoba, Vancouver, and Saskatchewan. We haul everything from sand & gravel as well as refrigerated & dry goods containers. With over 25 years of experience in the transportation industry, R&J Holdings offers everything you need to move your shipment to its final destination reliably, efficiently, and cost effectively. We provide a complete range of flexible and seamless refrigerated transport Vancouver designed to help you focus on your business while we get your shipment where it needs to be. Everyone from our administrative staff to our drivers have extensive experience in the transportation industry. We treat all client relationships as partnerships and take pride in hiring only the best team members (our drivers are required to have a minimum of 5 years driving experience). Since the beginning, our goal has been to set the standard in the Vancouver, BC and Western Canada trucking market with a commitment to delivering excellent transportation solutions and superior customer service. Our team takes care to coordinate the movement of your freight securely and efficiently between plants, ports, warehouses, and other destinations so you can rest safe knowing that your goods will get to where they need to be. We have a fleet of over 40 heavy duty trucks and trailers available to serve your refrigerated transportation needs in Vancouver. We pride ourselves on using the most up to date trucks and our equipment is regularly maintained and serviced. We are equipped to handle aggregate materials such as sand & gravel as well as refrigerated and non-refrigerated shipping and cargo containers in Vancouver. Our delivery and safety track records are among the best in the industry and illustrate why R&J Holdings is regarded as one of Western Canada’s best trucking companies. R&J Holdings is on the lookout for talented drivers and other staff to join our team. Take a look at our Careers Page, and feel free to send us your resume. We look forward to hearing from you! © Copyright 2013 RJ Holdings Inc. All Rights Reserved. Responsive Web Design by Raize.